Hickory – A Castle of Cans will be built at Hickory’s Oktoberfest for the 20th year. The first food drive and castle build was in 1999. The idea to add the community service component to Oktoberfest came from architects Beemer Harrell and Marvin Folger. Susan Coleman, a Catawba County Schools’ educator and member of St. Alban’s Episcopal Church, coordinated the food drive. Around 1,000 cans of food were collected from H.M. Arndt Middle School and a few churches, and were given to Hickory Soup Kitchen and Cooperative Christian Ministries. Last year, 20,662 pounds of canned food was collected from 14 public and private schools, and 7 community sites. The food was distributed to 8 area soup kitchens and food pantries. In 2013, upon Ms. Coleman’s death, the food drive was named for the long time volunteer. 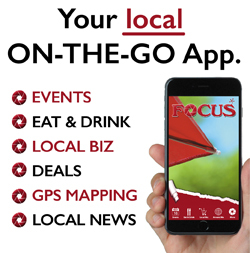 St. Alban’s Episcopal Church has continued to coordinate the food collection for Hickory’s Downtown Development Association. The county wide canned food drive provides added supplies to soup kitchens and agencies that help families in need in our communities. For the third year, Food Lion is donating 5,000 pounds of canned goods to the castle through its Food Lion Feeds hunger relief initiative. The castle can be seen in the Kidsfest area of Oktoberfest, October 12th through the 14th. If you would like to donate to the drive, you may bring cans to two community drop off locations: Taste Full Beans Coffeehouse on 2nd Street NW in Hickory and the Habitat ReStore on 8th Street Drive SE across from Home Depot. Collected food will be distributed to the following agencies: The Corner Table of Newton, Eastern Catawba County Cooperative Christian Ministries, Exodus Homes, The Family Care Center, Greater Hickory Cooperative Christian Ministries, The Hickory Soup Kitchen, The Salvation Army, and Second Harvest Food Bank. For information about Oktoberfest, please contact 828-322-1121. 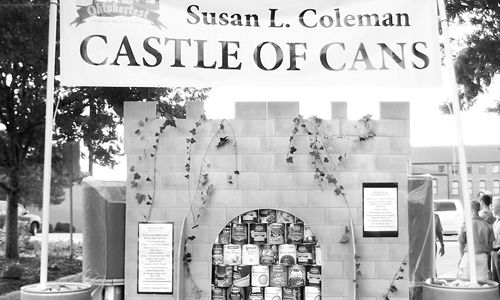 For information about the Castle of Cans, please contact Jan Knotts at 828-495-3029.